Through renewables, the financial year 2017-18 contributed a total of 18.8% (including supply from rooftop PV) of the national electricity (NEM) generation. This is mainly owing to the increase in large-scale solar and wind power plants. As per the National Energy Emissions Audit (The Australia Institute), emission reduction target of only 4% will be left by 2030. Further, as of June 2018, Australian renewables share is at 19% of the national grid and there is a 0.3% consumption increase over the previous year (without inclusion of the rooftop solar energy). States throughout the country has set-up various renewable energy targets. Some are realistic, others ambitious yet achievable. For example, ACT has only reached 30% of renewables as of June 2017, as opposed to their 100% target by 2020. Then, Victoria is nearing their 2020 milestone of 25%. Queensland has an active plan (not yet a legislation) to reach 50% clean energy by 2030. However, in the sunshine state, only 6.5% is sourced from alternate energy sources as of now – majority from rooftop solar. Hydro still contributes the largest share to our grid – 5.7% with 12,000 GWh of generation. Then comes the wind, solar and biomass energy sources. Furthermore, in the 2017-18 fiscal year, 7GW was from the rooftop solar PV from over two million homes and businesses in the country. The primary reason behind the existence of RET is to bring down GHG emissions. As per the various models of NEM, we require a reduction of 0.5 metric tonnes (Mt) of carbon dioxide per year for the next eight years. This will enable us to reach 129 Mt by 2029-30. At the current Australian renewables adoption rate, this is easily attainable with 300 MW of solar/year at NSW or QLD, assuming that electricity demand does not rise beyond the predictions of AEMO. 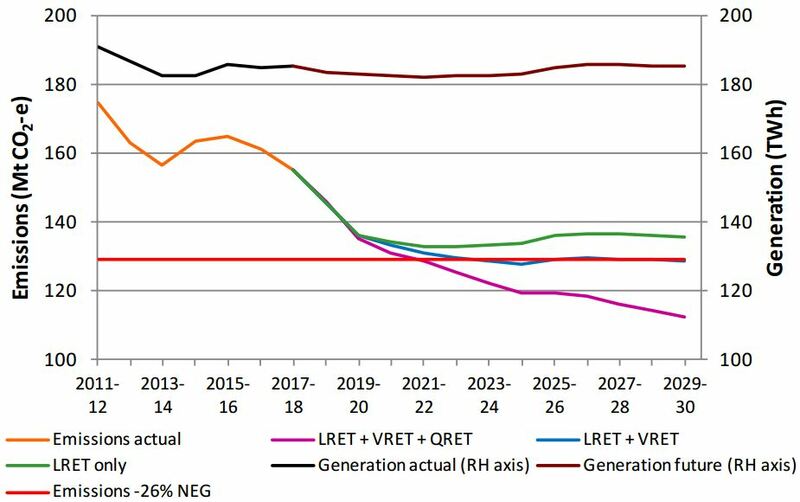 The NEM audit considers 3 models: LRET;LRET with VRET (Victorian State RET) and QRET (Queensland State RET); LRET with VRET. The NEG target is easily achievable with LRET + VRET combo alone. However, if the new government in Victoria cancels or negatively modifies the scheme, LRET would have to substitute the pending renewables at the rate of 2000MW/ year for the next ten years. This can bring down the currently booming alternate energy generation in the country. As per the Clean Energy Regulator (CER) list, over the next 3 years, about 8000 MW of clean energy farms are in the pipeline to be commissioned. The Yarranlea farm by Risen Energy (acquired in February 2018), at an area of 250 hectares, would generate about 121 MW of clean energy; and about 200 jobs in the process. It will connect to the NEM through the Yarranlea zone substation, and offset about 1.24 million tonnes of carbon dioxide by 2029. Risen Energy funds the entire project without any PPA and plans to sell the energy certificates in the market. High Altitude Solar Power – Does it Work? 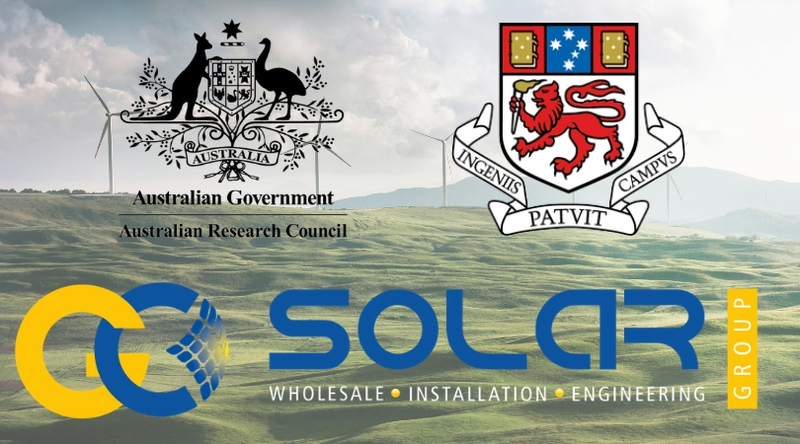 Copyright © 2017 Go Solar Group Pty Ltd. All rights reserved.